I have never read a book like this before. That is essentially what motivated me to pick this book up. I do not believe that there is another YA book out there that is like this one in any capacity. I like to be an adventuresome reader and pick up books that I normally wouldn't, in the hopes that I can shake my reading life up a bit, and this book did just that! 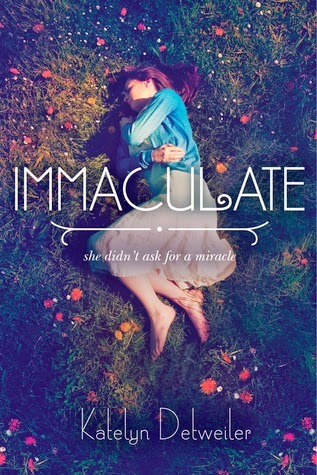 This book obviously touched on a very taboo topic, immaculate conception, and begs the question, would you believe? Would you believe that a young woman in today’s society was chosen to become the next “Virgin Mary”? Would you believe, because you believe that it has already occurred once before? Would you believe, because you believe in the miracles of God? Or, would you call blasphemy, and condemn the girl to hell? Would you label her a heretic and demand retribution? Maybe you would believe she was impregnated by aliens. Or maybe you would believe there is a perfectly logical,scientific explanation for spontaneous human asexual reproduction. Perhaps evolution? Ask yourself, what would you believe? Then ask yourself, regardless of your beliefs, would you torture this girl? Would your words or actions traumatize her? Would your words or actions mentally abuse her? Would your words or actions affect the unborn baby? Told in three parts, broken up by trimester, Katelyn Detweiler takes us on Mina’s incredible journey, as she attempts to navigate the new world in which she finds herself inexplicably thrown into. Immaculate opens in a very bizarre manner. With an unknown “guest” requesting Mina’s permission. 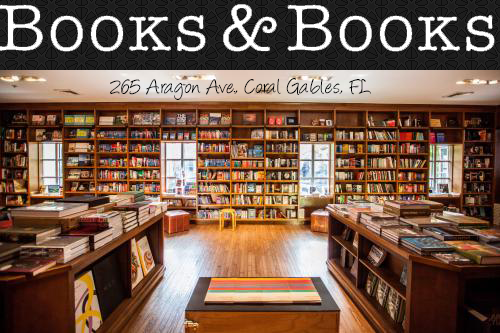 As readers we know the premise of the book, and so know what the permission is being sought for, though Mina does not know, and unwittingly grants her permission. Once Mina discovers that she is a pregnant, she is surprisingly calm, and she maintains this calm throughout the book. I don’t know how authentic this reaction is, given that she is a 17 year old virgin. I mean, I’m a grown woman, and if I woke up tomorrow and found out that I was pregnant, I would be freaking the “F” out. I would see a million doctors and visit a million churches. I know this is not the most well written review ever, just go read the book. I just had to take a minute to process, but how very interesting. There are plenty of books about teenage pregnancy, but this one. This one is highly unique and rare. I can also see how this could become a controversial book. If I was in Mina's position, my parents would be carting me off to all types of doctors. You kept mentioning that she was always calm and collected. But if I conceived a child without losing my virginity I would be turning to my church and faith. I honestly think it would do wonders to my faith and beliefs, but at the same time I would be extremely freaking out. I'm definitely going to check this one out. Spectacular review! Thank you so much Meredith! I agree with everything you said. This topic could be very controversial for many. I too had to take a minute to process after I finished reading the book and attempted to write the review. I am really glad I had to opportunity to read it.